Before you look for a brand new home, you’ll need to prepare yourself financially. Buying a new home is expensive, so it’s important you plan ahead as best as you can. Deposits are usually at least 5 per cent of the home’s overall cost, depending on the type of loan you obtain. The average home price of the area in which you wish to buy. The type of loan you wish to get. The amount you wish to borrow through your loan. As a current homeowner, you may be able to access the equity you have already built up in your loan to cover the deposit. If there isn’t enough equity, you’ll have to save the deposit yourself. Stamp duty is a charge that is applied to the sale of residential property by state governments. It is not a fixed cost across the country - it differs in each state and territory so make sure you find out about the stamp duty costs for your area. If you want to borrow more than 80% of the property purchase price you will normally be charged Lenders Mortgage Insurance. This insurance payment covers the lender in the event that you can’t pay the home loan back. Get your budget and savings in order well before you buy to avoid this hurdle! The cost of LMI will vary depending on how much you borrow and the type of loan you select but it will be approximately $10,000. When you’re spending your life savings on purchasing property it makes sense to protect it. While building insurance is a compulsory requirement from your lender, there are other insurance policies that you should consider. For example mortgage protection insurance will ensure your mortgage repayments are met should you fall seriously ill. Income protection insurance will also help pay the bills should you be hit by an accident, major trauma or illness. Buying a home is fundamentally a legal process so the help of legal experts, namely conveyancers and solicitors is critical. They will be an invaluable part of property negotiations and can help you through the paperwork. However remember they will charge a fee so make sure you factor this in. Some conveyancers will charge a flat fee while others will charge a sliding fee based on the properties sale price. Make sure you discuss fees and charges before you engage their services. Having a building and pest inspection carried out on any property is usually a requirement by the lender but they are well worth investing in regardless. If you are considering purchasing a unit or apartment, it is also in your best interest to have a strata inspection conducted - that is a report on the assets, liabilities and financial position of the apartment complex. While having a building, pest or strata inspection completed on the potential property will cost you initially, it could be an invaluable safeguarding against buying a lemon. Expect to pay around $400 for a building or pest inspection and around $200 for a strata report. You may have done all your research and been prepared for all the major hidden extras, but you should always set aside a little bit extra for those expenses you are not expecting. Expenses like moving fees, utility connections, mail redirection etc. It is really important to consider all the extra costs that can / will apply to your property purchase otherwise the settlement time can be extremely stressful. As a general rule if you factor in an additional 5-7% of the purchase price, on top of your deposit it should be approximately enough to help you cover the hidden extras. 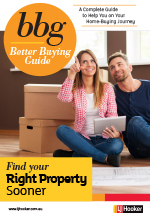 Understanding the costs of buying a home is important as they may influence your decision to buy a certain townhouse or apartment, so it's best to determine how much this is before you commit to a property. Refinancing fees for your mortgage. A valuation of the home. If you’re moving from a house into a unit or apartment then you’ll need to consider strata fees. This is an ongoing cost that covers the common areas of the apartment building, such as elevators, hallways and pools. This figure may influence your decision to buy a certain townhouse or apartment, so it’s best to determine how much this is before you commit to a property. While these are not all significant figures individually, they can add up to a sizeable sum. Be sure you can pay for them as they arise. To fully understand the costs associated with buying a property in your state make sure you read our articles on buying real estate in your state or territory.